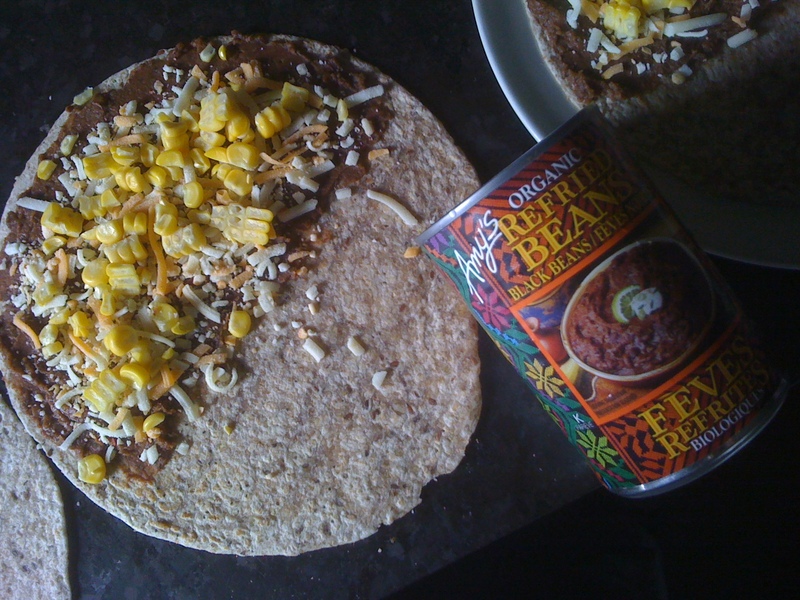 This week I ate bean, cheese and corn quesadillas for lunch, well for three days anyhow. We had Mexican last Friday after work and I had opened a can of Amy’s Organic Black Bean Refried Beans so I had to use up the beans. I had one cob of corn left, so I used that too. I made three quesadillas by slathering a thick layer of beans onto whole grain tortillas, then sprinkled some cheese, corn and a little shake of dried cilantro (which is not the best, but in the absence of fresh cilantro, it does the trick, well sort of). Fold the filled tortillas in half and on a heated non-stick skillet brown each side, melting the cheese and fillings together. To cool without sweating, place on cooling rack. 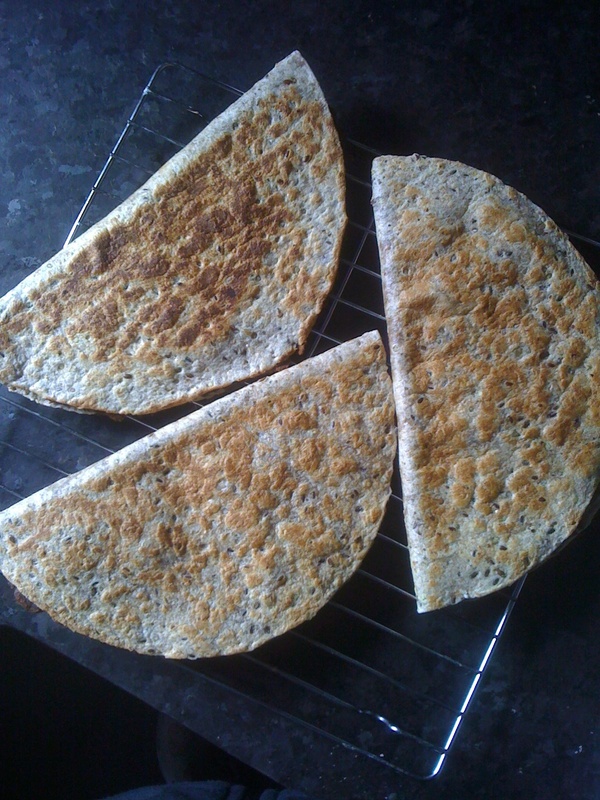 When they are cool, cut into three triangles, stack and wrap up for lunch. I placed them in a container with fresh garden carrots and tomatoes. When lunch came, I didn’t worry about warming them, just dug in when the time came. Satisfying as they are or pack a little bit a salsa with you. Ole!